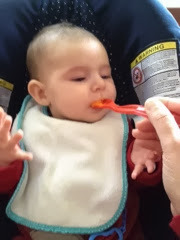 Weaning your little one onto solids is such a BIG accomplishment! 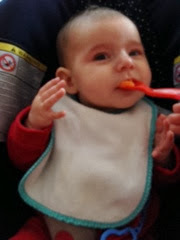 Making "delicious" first food that your baby will spit all over you, your furniture, floor, him/herself... Awww, delightful! 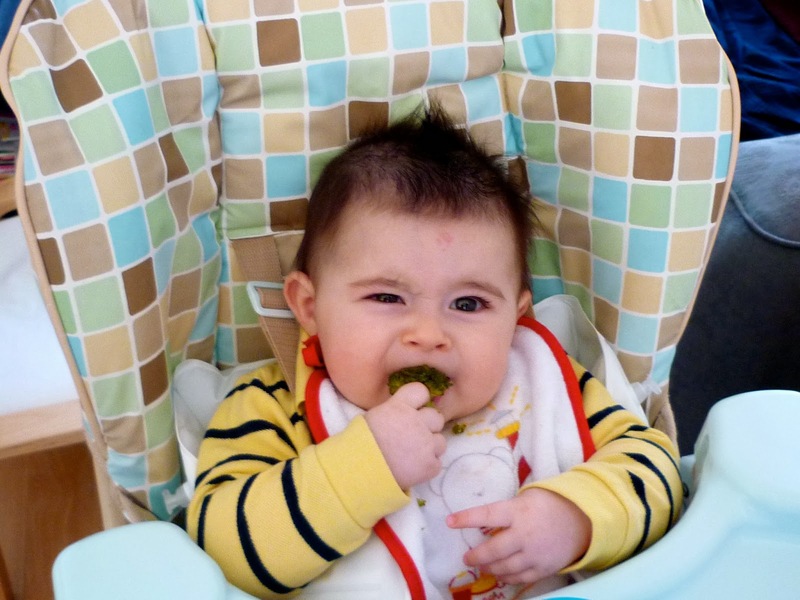 I started weaning Sam onto solid food when he was 5 months old. 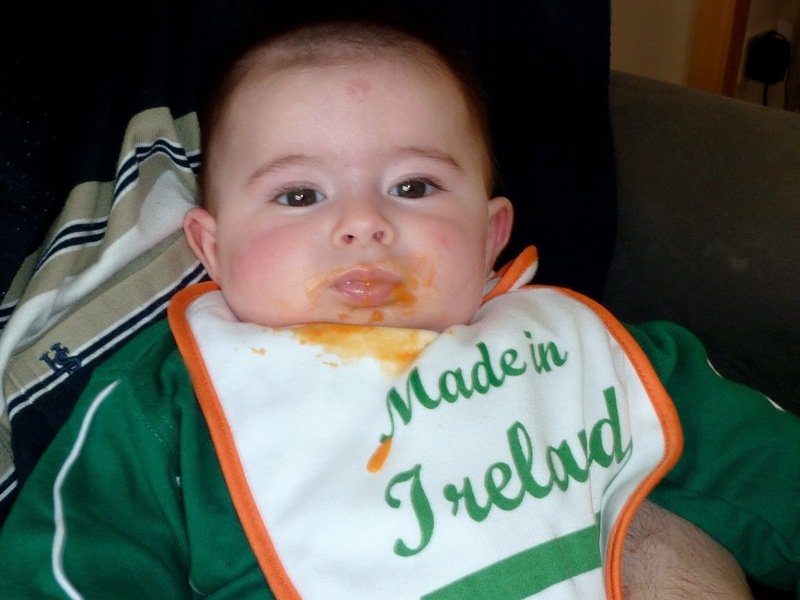 It was St. Patrick's Day, and he had soft carrot purée. Sam loved it! 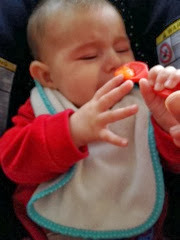 He was quite hungry and really liked his baby food. It was Christmas Day when I introduced Shannon to her first baby purée. 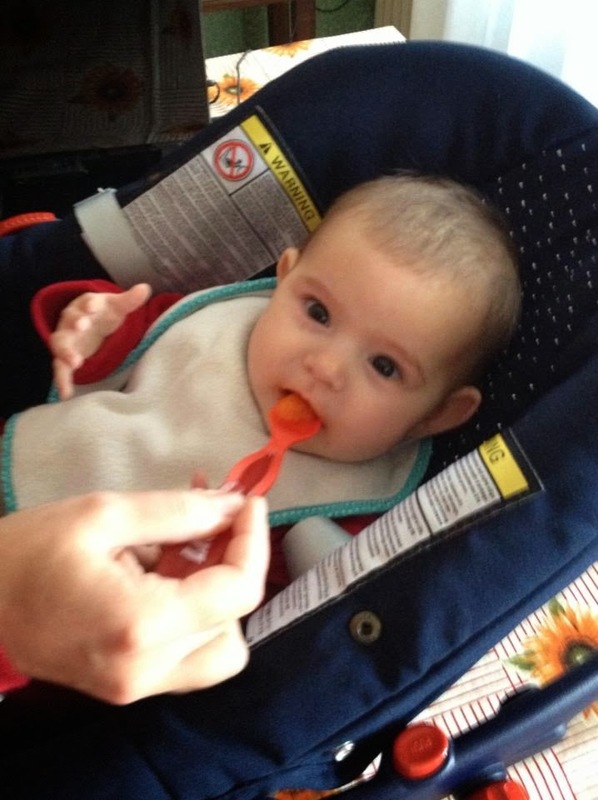 It was carrots again, and she was only 4.5 months old. 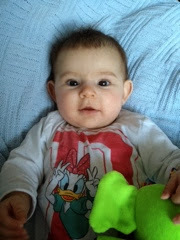 Because of her reflux issues, she wasn't feeding well at all and I think she was quite hungry, too. If I was holding her and eating something at the same time, she was looking at me and trying to catch it. Sometimes, she opened her mouth, probably thinking that it was for her. Shannon is in love with the food. She changed a lot since she started her food. She sleeps better and she is more settled and calm. 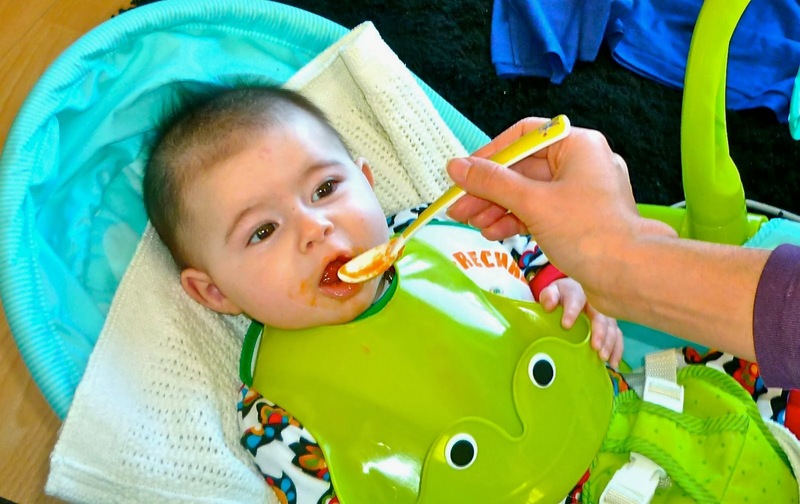 Everybody has different opinions about weaning babies onto solids: when you have to start it, what should you give them first, how often... I think that once you have talked to your health nurse or doctor and you have understood how all this process works, then all the advices you can get are good advice. You can see it from a different point of you, which is fantastic. Just remember, YOU are the mum, and nobody knows your child better than you do... So, don't be afraid of asking for help or tips, and don't feel bad if you want to follow your instinct, instead.